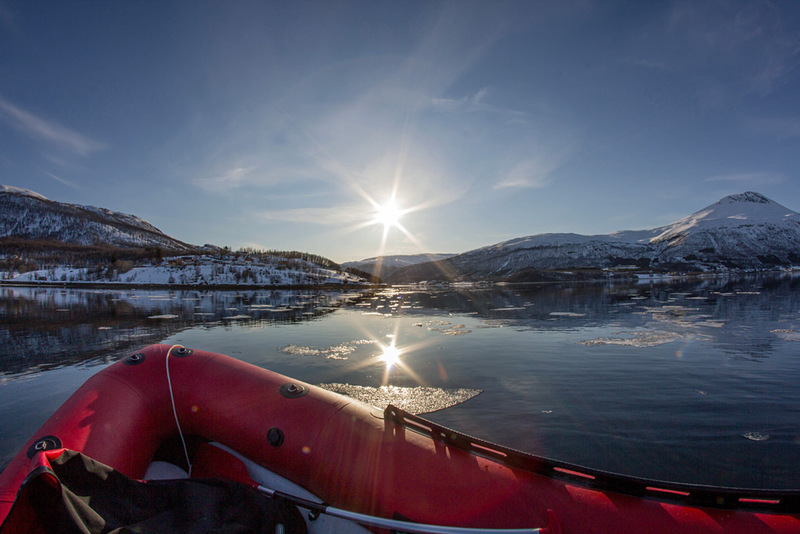 Yesterday evening the water around Tromsø was mirror calm and I (Paul) decided it was time for the first boat trip of the year! I had heard that the sea ice in Ramfjorden had recently broken up and thought it would be interesting to make a trip in the channels between the ice floes. 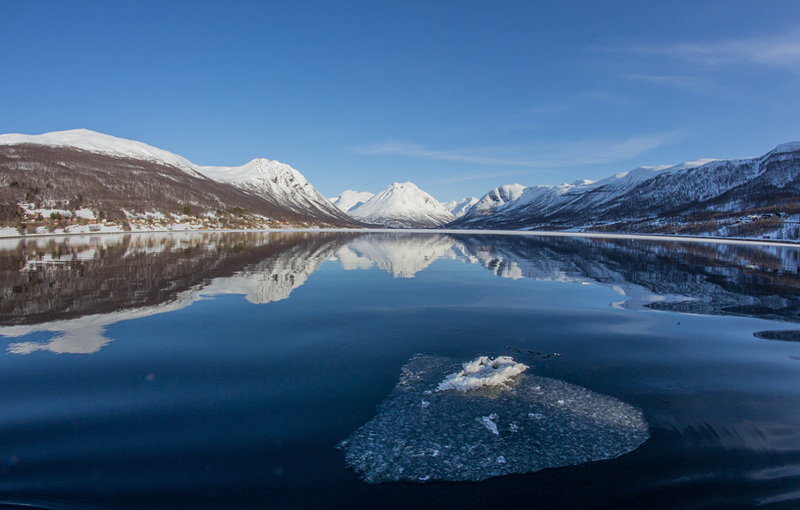 When I got to Ramfjorden, I found that all the broken-off pieces of ice had been blown out of the fjord so the maze of channels I was hoping for was gone. 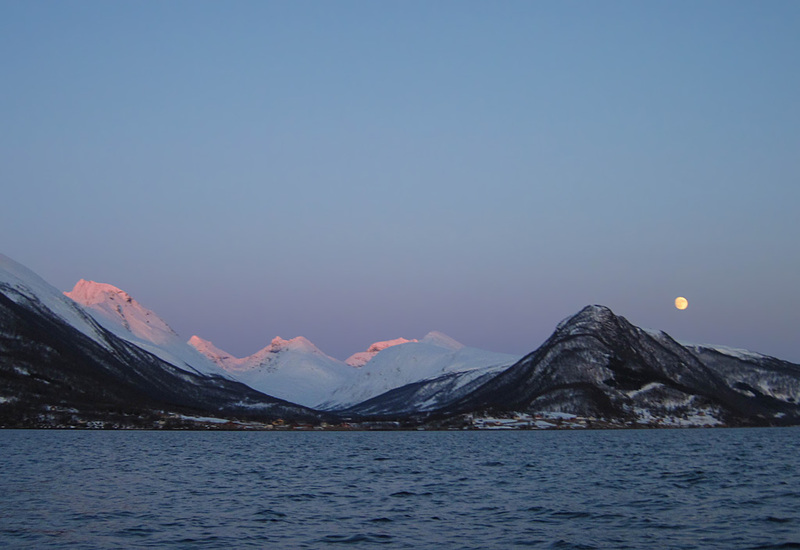 Nonetheless, it was a beautiful evening in the fjord. 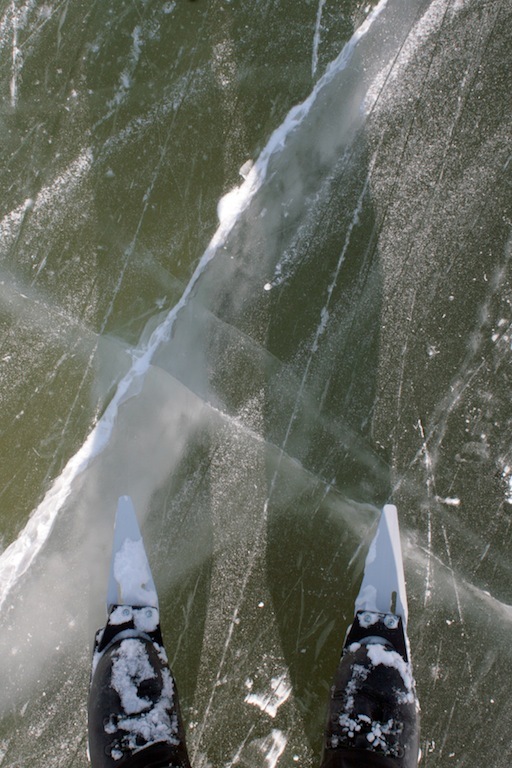 The remaining ice was very thin (5-10 cm), too thin for a person to walk on, but plenty thick enough for sea gulls. 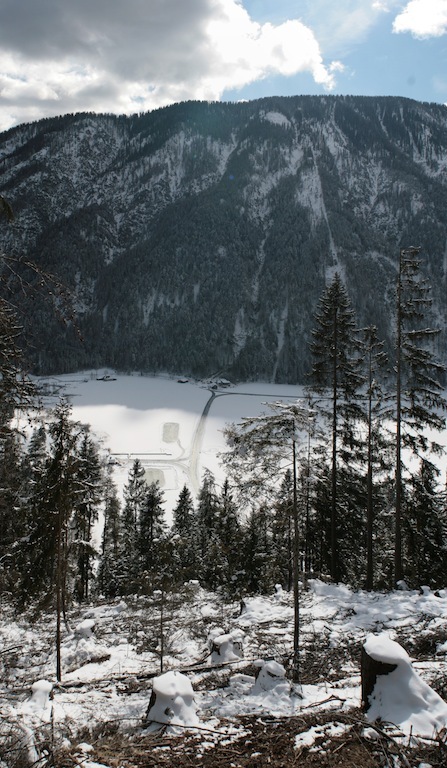 At the beginning of February I spent four days at a glacial lake in Austria called the Weißensee. 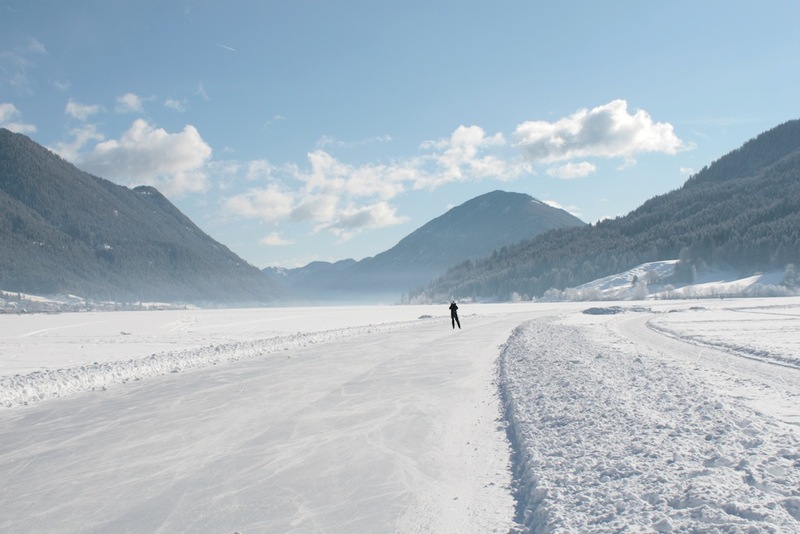 The Weißensee is Europe’s largest reliably frozen lake. 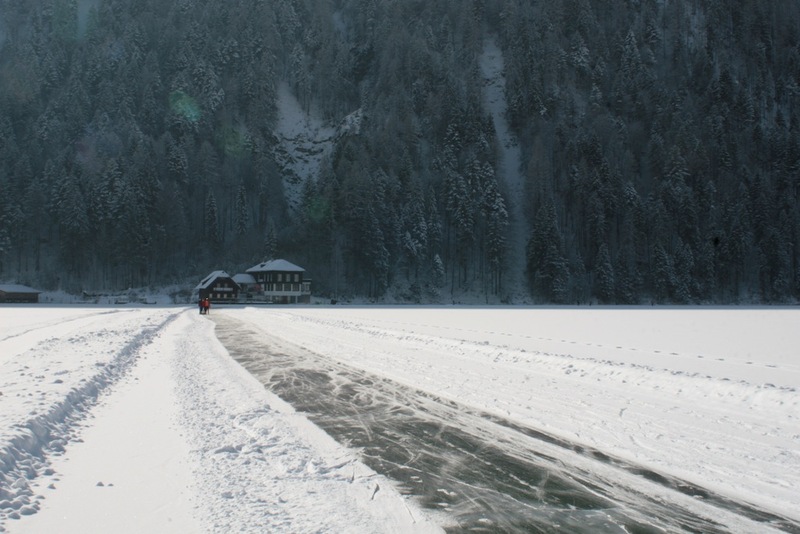 But what makes it special is that every morning an “Eismeister” drives around the lake with a snow plough to clear the surface. 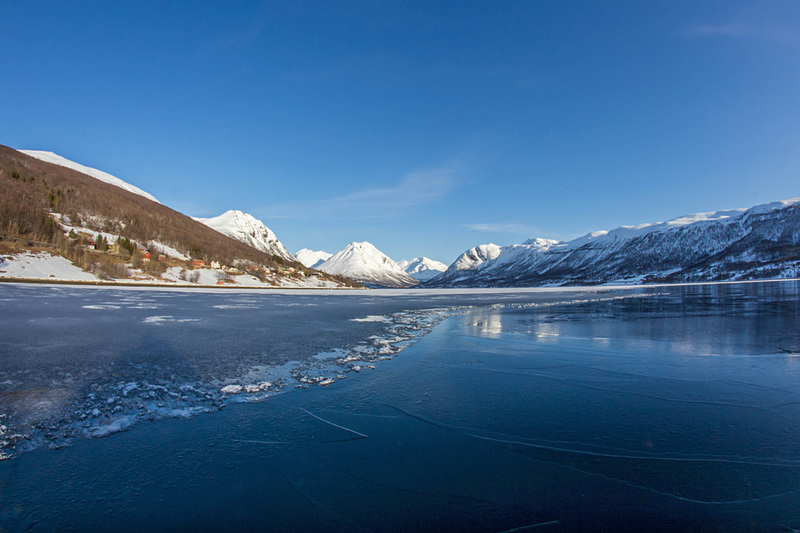 There are plenty of frozen lakes in Northern Norway, but after the first snowfall skating is impossible. 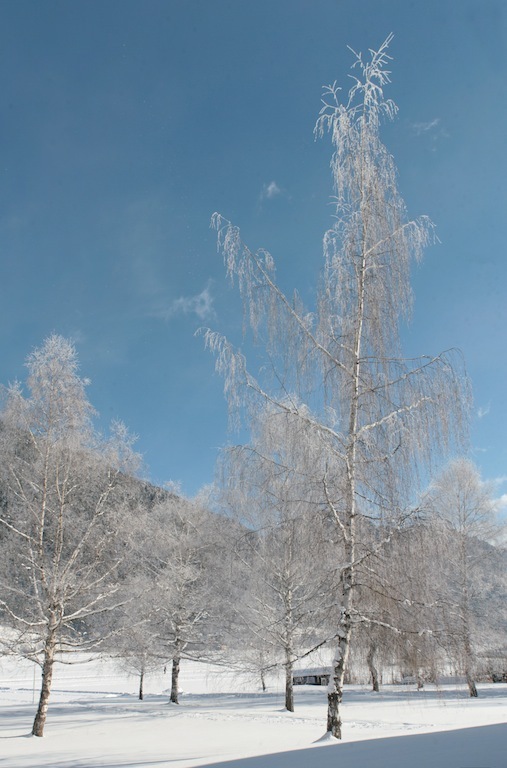 The Weißensee also has a nice sunny alpine climate and is quite a popular winter holiday destination. 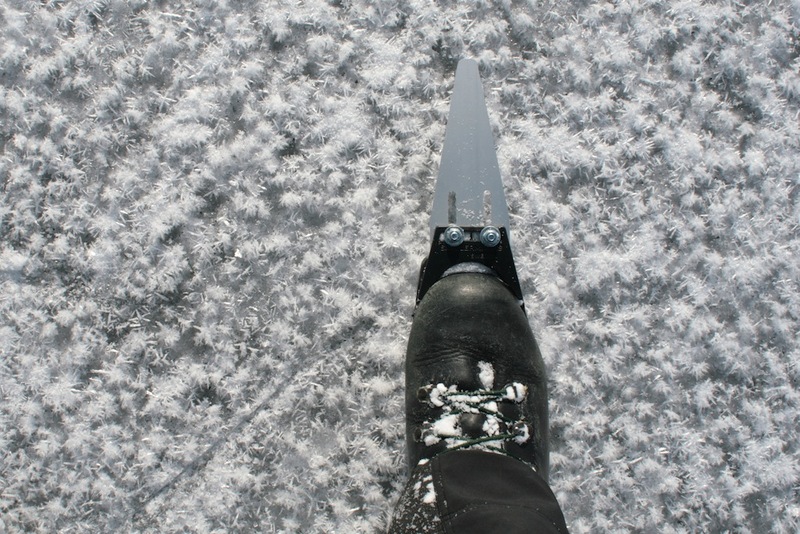 Although it is not very well known in England, people are well aware of The Weißensee in countries where skating is popular – such as the Netherlands. While eating breakfast at the Hotel Moser in Techendorf I counted the number of guests who were speaking Dutch: 18 out of 20! 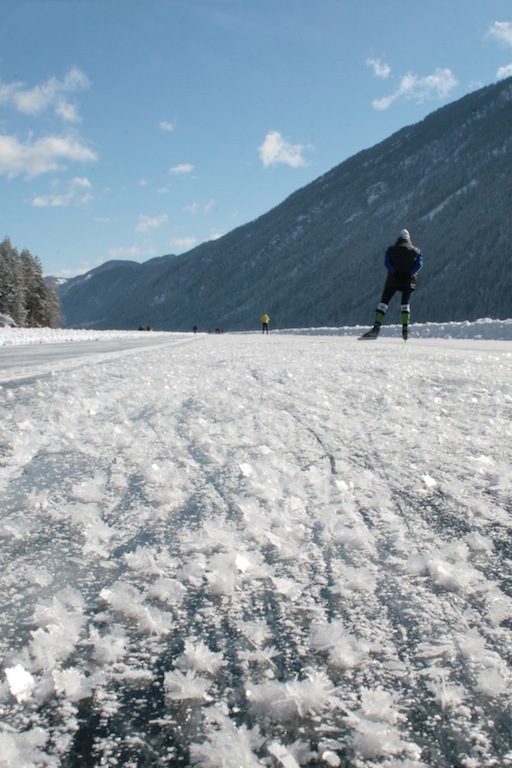 Natural ice is not like the ice found on artificial ice rinks. My first day of skating on the Weißensee followed a night of freezing fog, and beautiful ice flowers had grown all over the surface. I didn’t feel them through my skates, but they were amazing to look at. 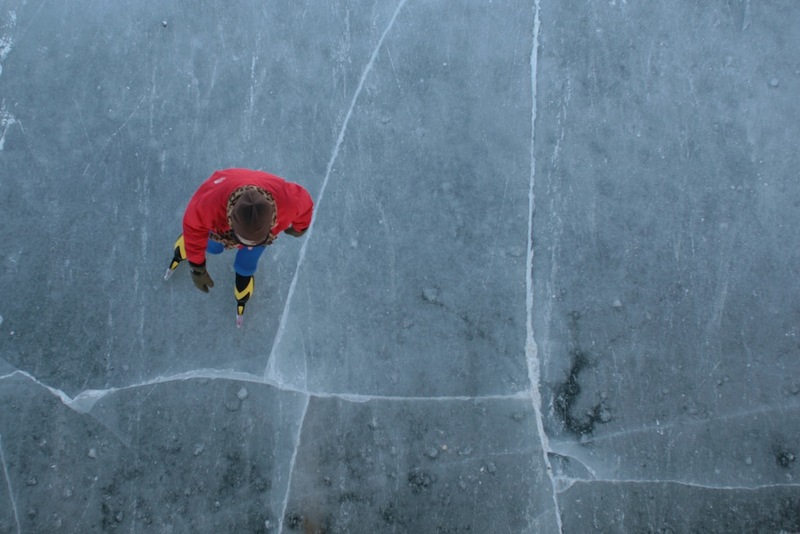 In many places deep cracks ran through the ice in all directions. These cracks are a bit of a menace if you cross them at too shallow an angle. 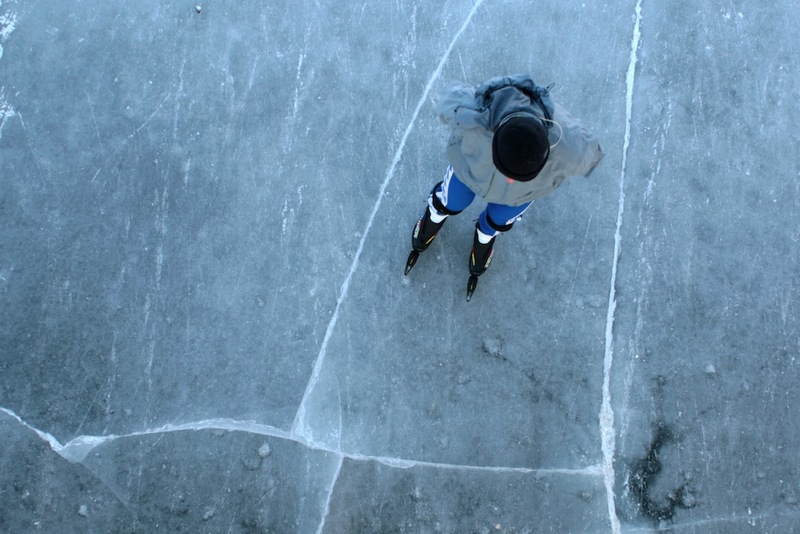 It’s easy for a skate to go down the crack, which will cause a naive skater to fall over. The Dutch spend their lives cycling along roads riddled with tram tracks and are probably used to this kind of hazard, but it caught me out a couple of times. 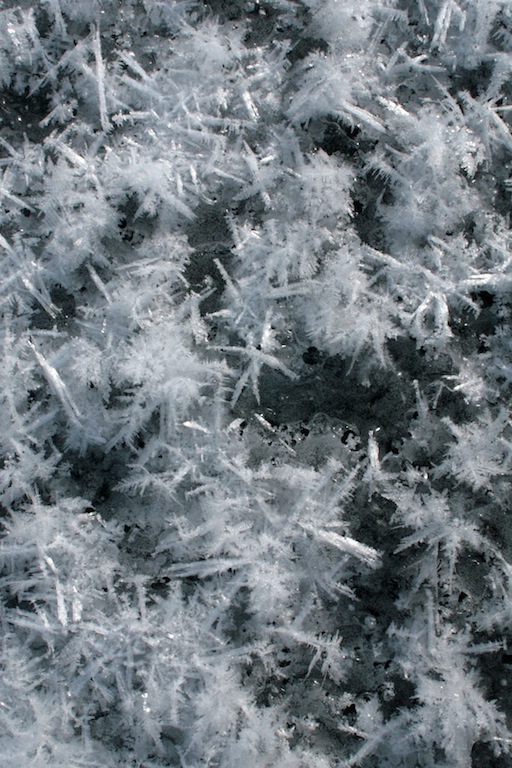 In other places bubbles of gas were trapped in the ice, often in interesting patterns. I tried to take some photos, but the surface of the ice was quite scratched by the skating traffic so they are not that clear. One the first day I skated 10 km from my Hotel in Techendorf down to the Eastern end of the lake. It was a windless day and it didn’t take a lot of effort – only about as much as cycling. But skating uses muscles that I don’t normally exercise, so when I arrived I was happy to take a rest at a lakeside hotel’s cafe. 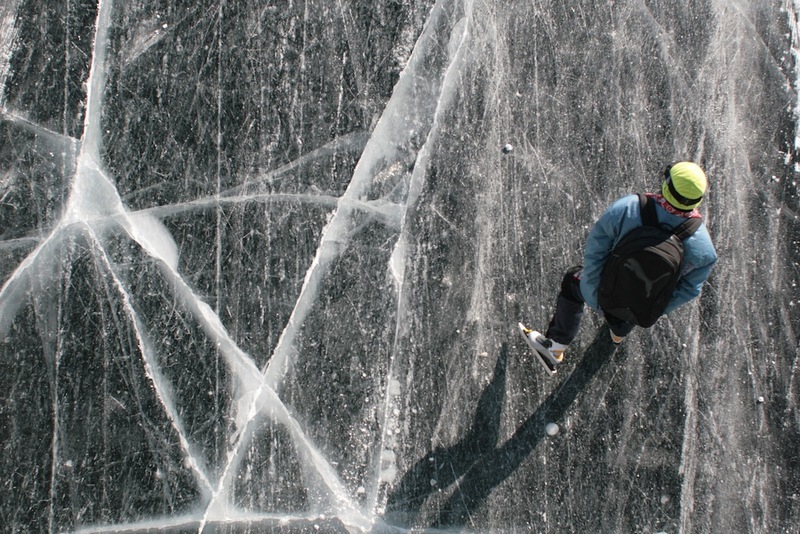 All sorts of people go to skate on the Weißensee. Some were super-fit and clad in skin-tight metallic lycra, others were more relaxed and wore jeans and woolly coats. The dominant demographic was 35-45 and had come in a group wearing matching, club-issued fleeces. Overall things were pretty informal though. 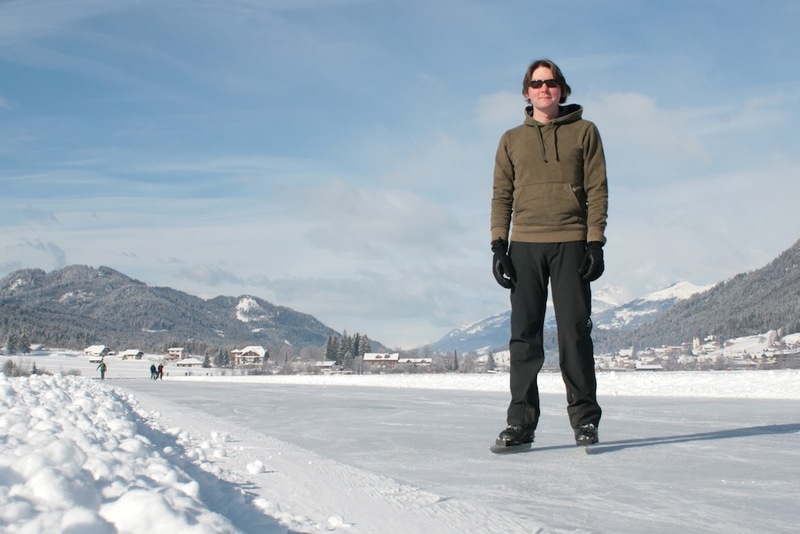 I wanted to make to most of my four days and was on the ice by 9 am most days. As long as I kept skating away from Techendorf I wouldn’t meet other people until about 10 am, when I started to meet people who had gone around the track in the opposite direction. 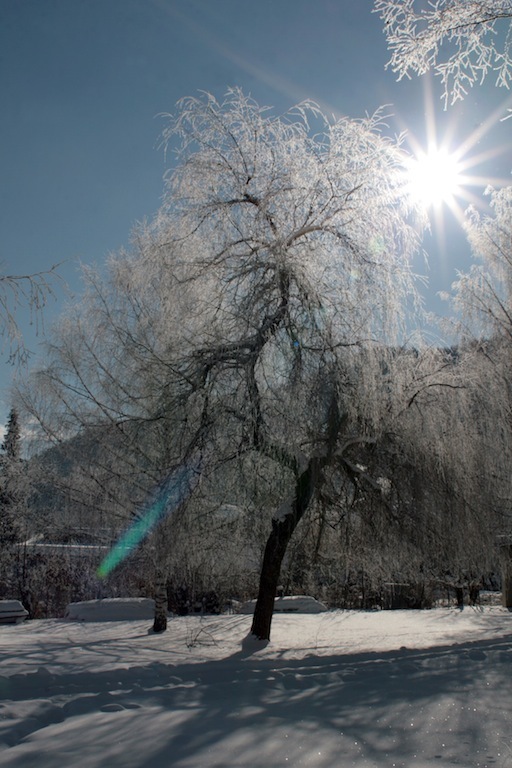 For three of the four days I spent at the Weißensee there was hardly a cloud in the sky and I skated around listening to music while enjoying the sun. With good music and nothing to worry about (except avoiding the cracks) skating was a hypnotic experience. By the end of day two I had clocked up more than 70 km according to my GPS, without really exerting any effort. Day three was overcast with snow showers and wind – and that changed everything. Skating into the wind is hard work and I’d become accustomed to looking at a sparkling frozen paradise. Grey snow didn’t provide the same feelgood effect and I was bored by lunchtime. I went back to my hotel to read a book. I’d become spoiled. The sun was shining through the curtains of my hotel room again the next day though and I gulped down my breakfast in order get out on the ice early. It had snowed a couple of centimeters over night and I was out before the Eismeister had plowed the track. The thin snow didn’t affect my skates, but I was playing Russian roulette with the now invisible cracks. I took a break and snapped a few pictures while I waited for the track to be plowed. 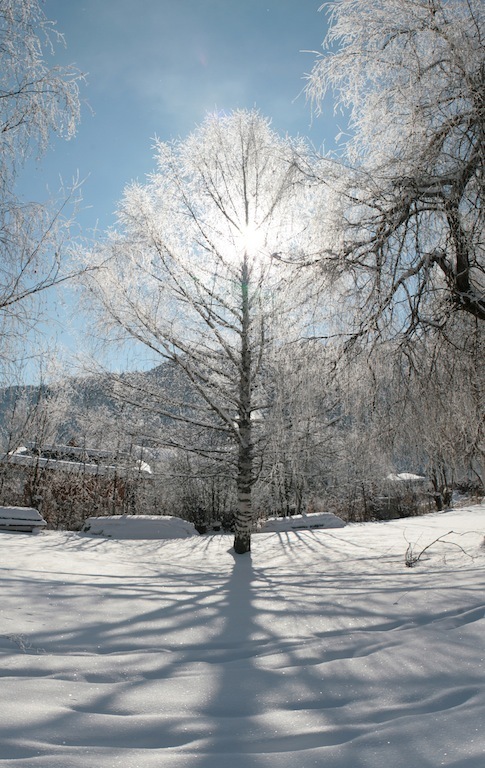 Although the sun had restored beauty to the Weißensee, my skating muscles were pretty sore after three days of skating. 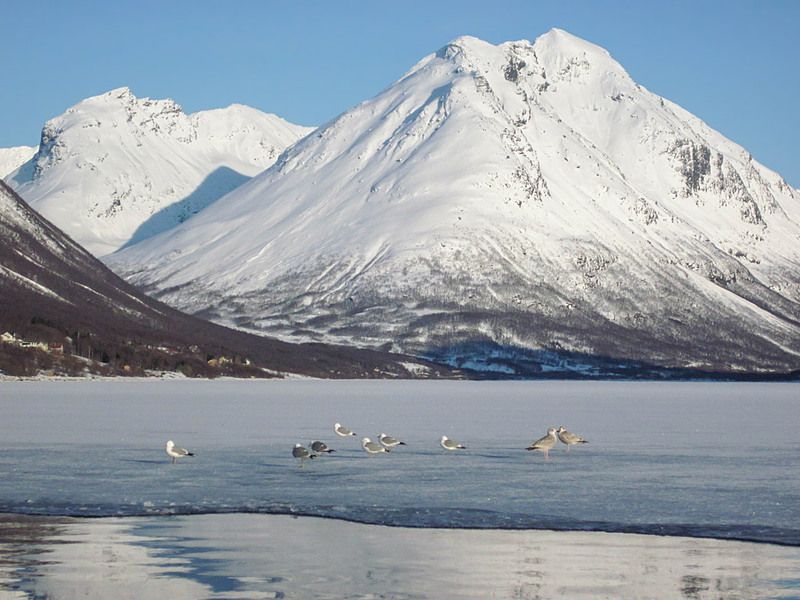 After lunch I decided to switch to a different type of exercise and went for a walk in the mountains around the lake. After a few minutes I was on a forest path covered with untouched snow. Clearly most people don’t venture far from the lake. 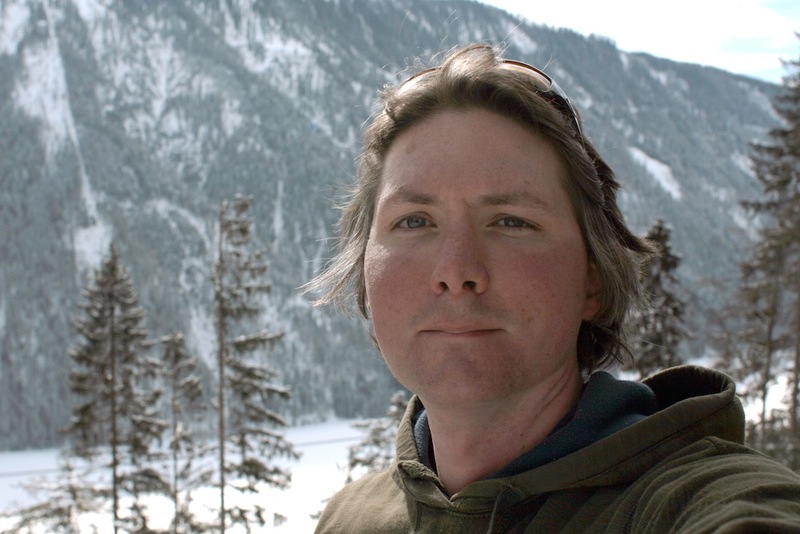 The snow in the forest was very thin so I could easily walk without skis. After a few hundred meters of climbing I had a good view over the Weißensee. 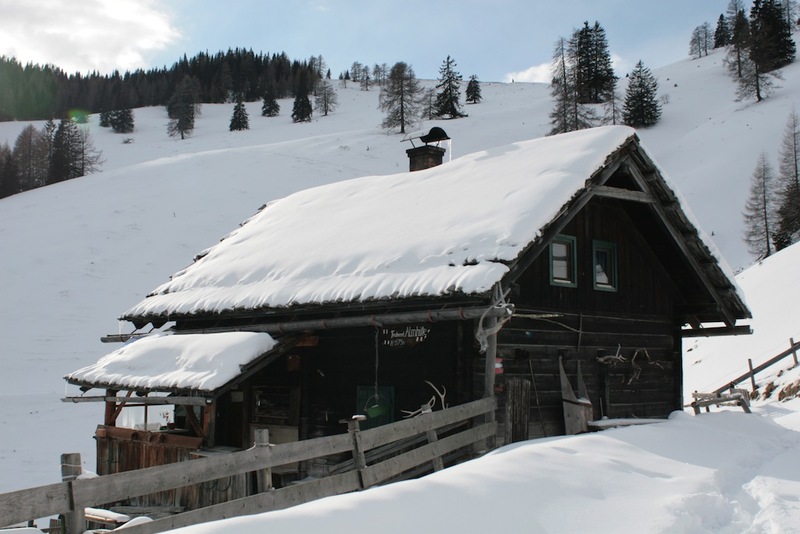 A little further on I came across a hut at Techendorf Alm. 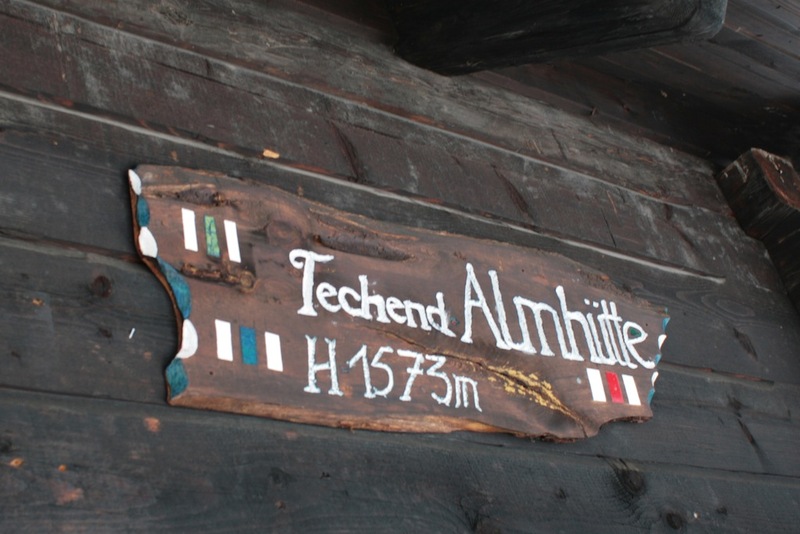 It seems to belong to some kind of Austian hiking / mountaineering organization. I began to think I should have become a member and stayed there instead of in a hotel. It is quite a long way from the lake though. Not a bad view. This would definitely be a nice place to stay. It even has running water and a solar panel to provide some electricity. I had a great time in the Weißensee and really enjoyed the Hotel Moser, but I left with a bit of a been-there-done-that feeling, so I don’t think I’ll be back next year. I enjoyed the concept of a skating holiday though and I’m keeping half an eye open for other nice places to go skating. 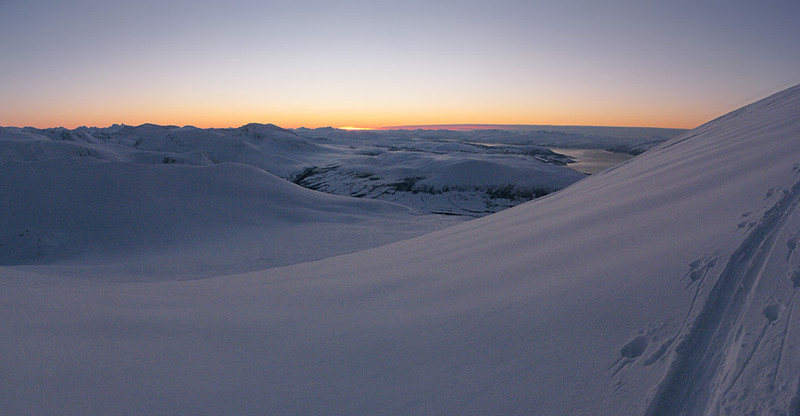 This weekend the weather in Tromsø was perfect for skiing. 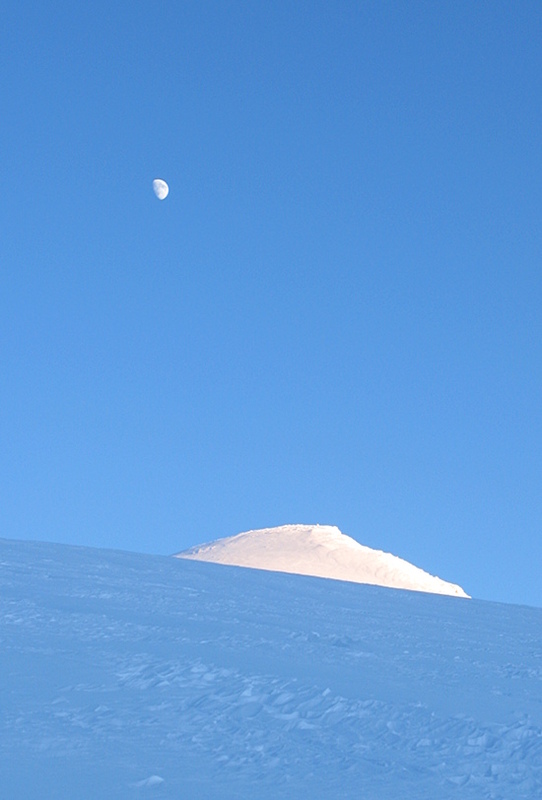 On Friday night we got about 25 cm of fresh snow and for the rest of the weekend had clear blue skies. 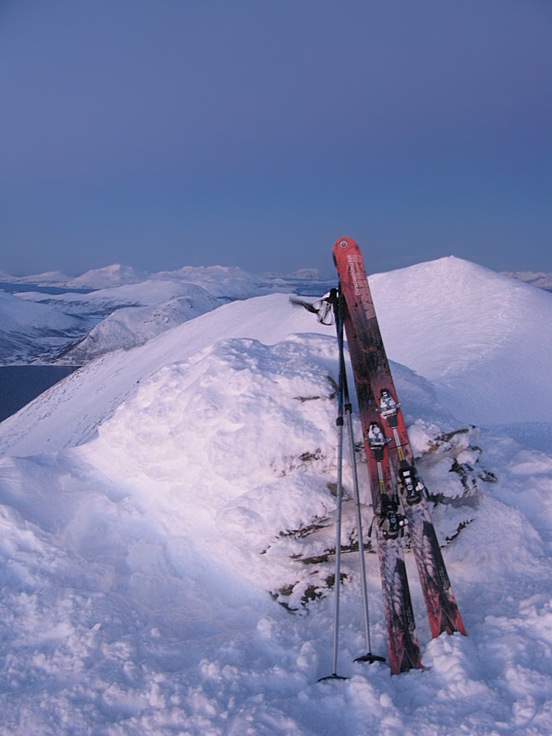 I decided to ski up Ullstinden, a mountain about 1000 m high on the the mainland about 45 minutes drive from Tromsø. Ullstind roughly translates to the wool mountain, which is a good description. 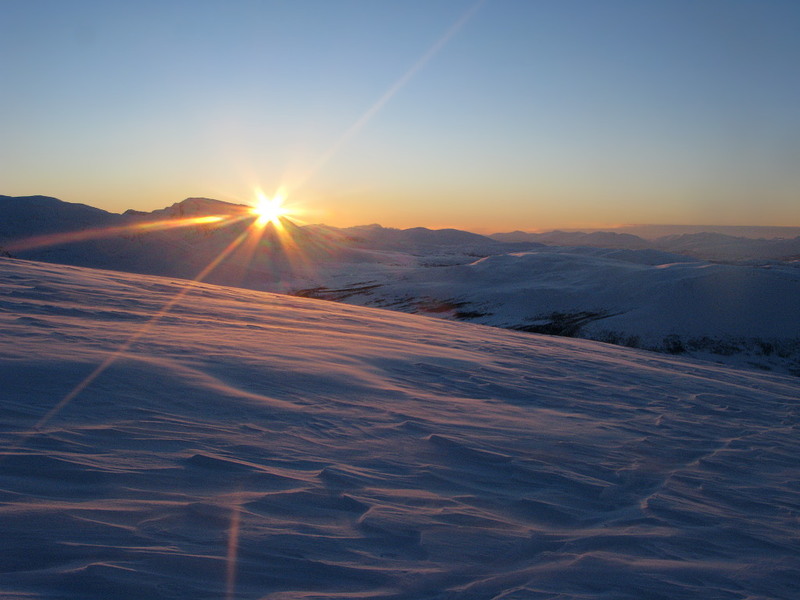 Ullstinden is easy to climb, faces into the afternoon sun, frequently has good snow conditions and is usually very safe from an avalanche perspective. 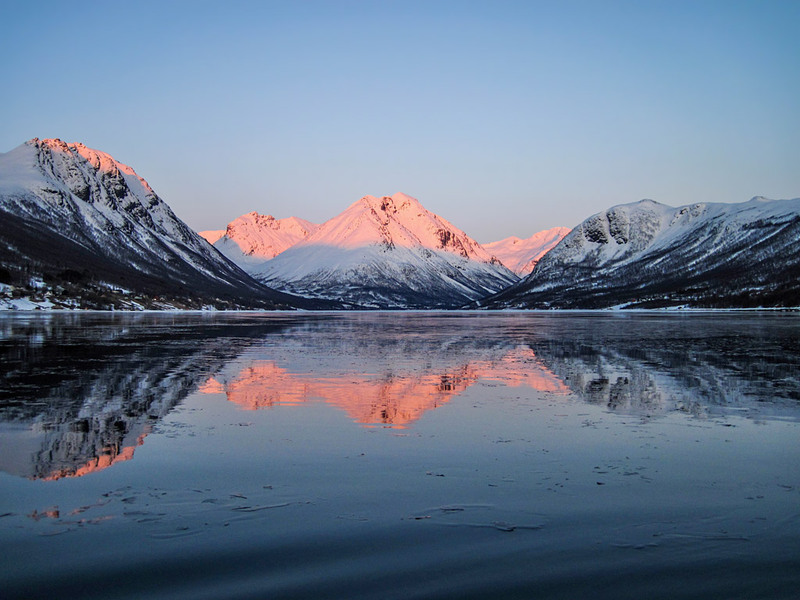 About two thirds of the way up Ullstinden splits into two peaks with a sort of valley between them. 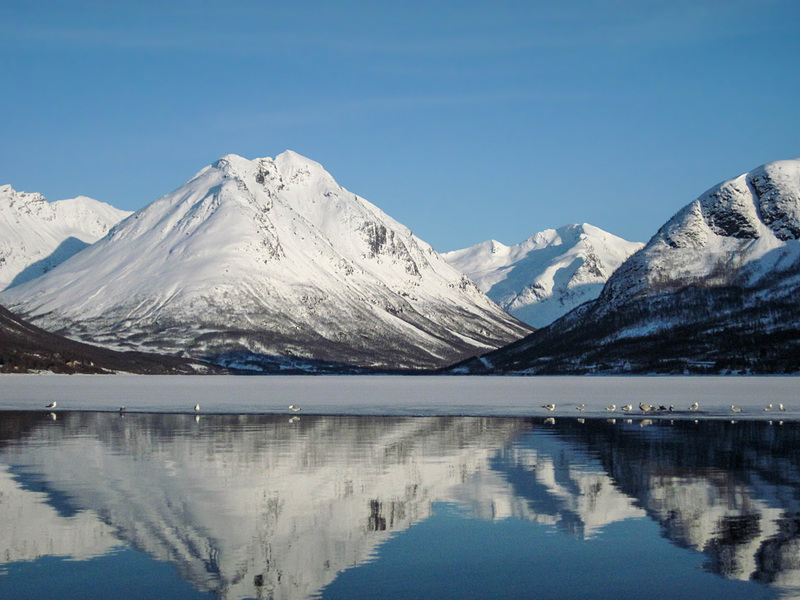 The valley floor affords good views of the Lyngen Alps to the North. 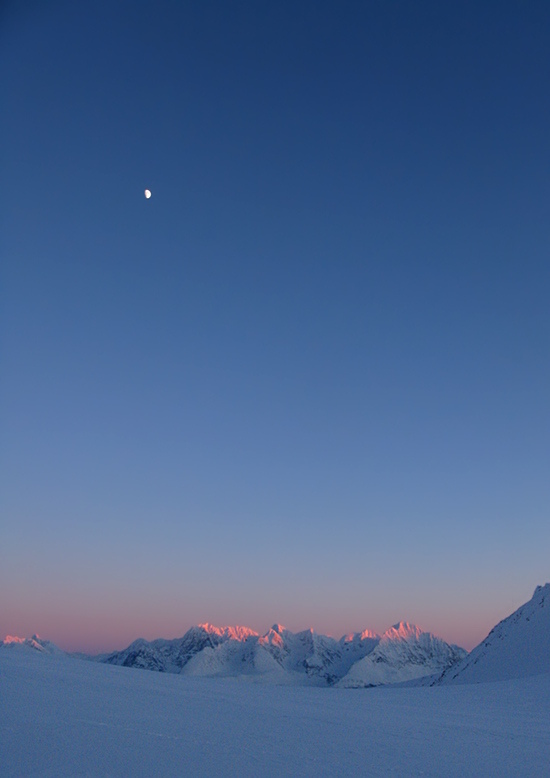 Many of the Lyngen Alps are too tough for my level of skiing, but some of them are quite easy. 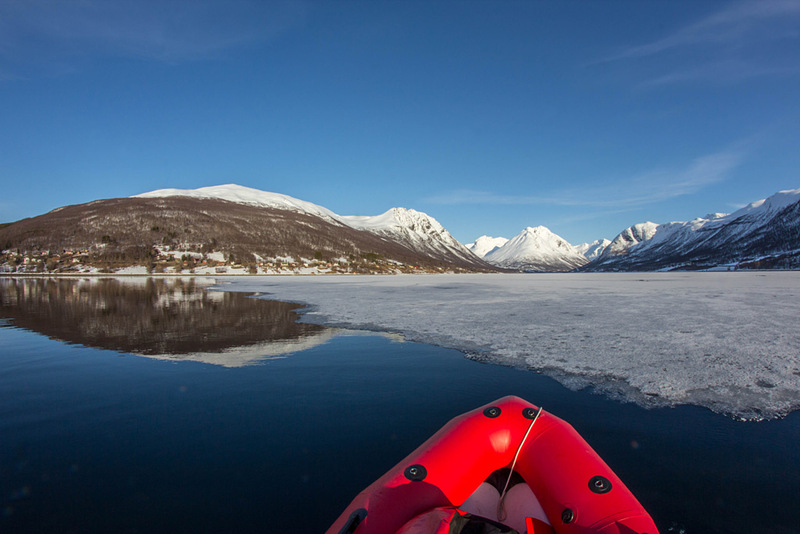 Although the area is very exciting I have never yet skied there because I don’t like the prospect of having to be back before the last ferry. This is one place I would love to see a new tunnel built! 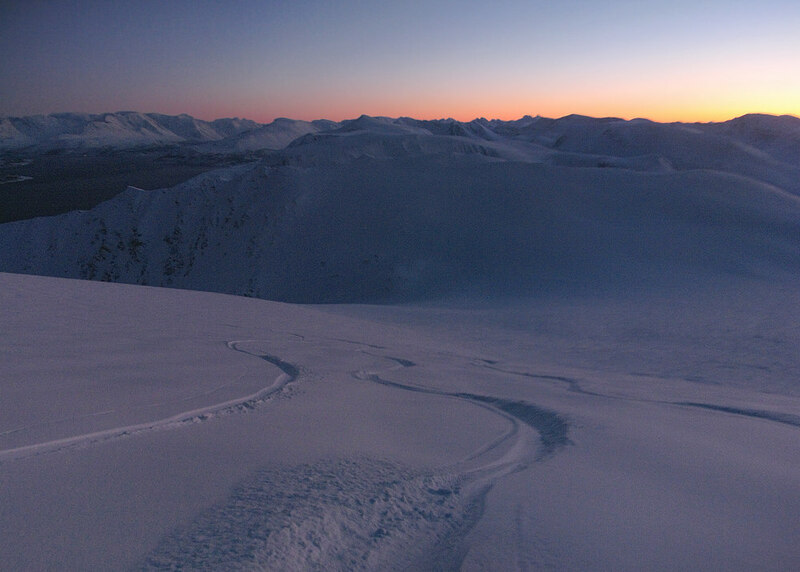 Somewhere between the valley and the top the sun began to set, but there was still plenty of light to ski by. 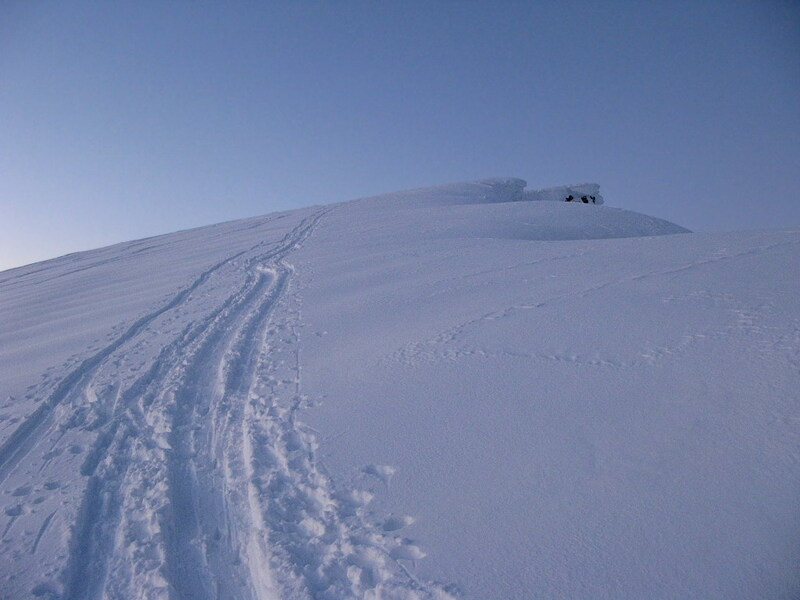 The snow at the top of Ullstinden was drier and more powdery than further down, but not so deep or powdery that it was hard to climb up though. I didn’t spend very long on the top as it was quite windy and I wanted to ski down while there was some daylight as well as moonlight. While the view from the top is very nice, it’s not all that different to the view from two thirds of the way up. Skiing down into the sunset was really nice. The snow was more or less as purple as it looks in the photos and the nice gentle slope provided an lazy cruise back to the car. I hope these conditions last for a while!